From our Scottish suppliers, we have a wide range of loose leaf teas and also Scottish roasted coffee that can be traced back to the farmer or co-operative who grew it. If you like our coffee, you can buy some to take away from our retail section along with related accessories. ​﻿We aim to provide a wide range of breakfasts and lunchtime snacks that has something for everyone. Our delicious soups are made on the premises and our ingredients are purchased, where possible, from local suppliers. We aim to provide a selection of home baking and scones which changes daily. We have been amazed this year with a fun addition to the cafe wall. 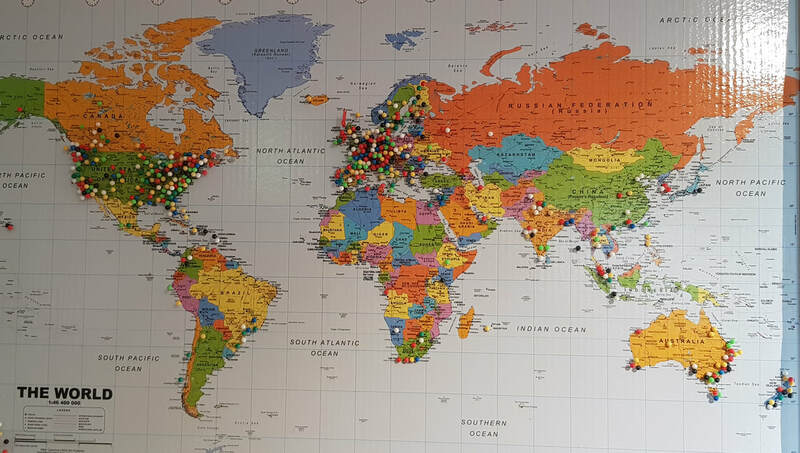 In July 2018 we put a pinboard World map on our wall and asked our customers from overseas to stick a pin into the map showing where they are from. 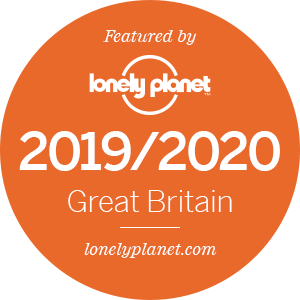 We thought it would take a year or two to fill up but amazingly, by the end of October 2018, we have several hundred pins showing the tremendous variance in origin of visitors to our cafe. A big thank you to all who participated. ​visit us in the main street in Glencoe Village.